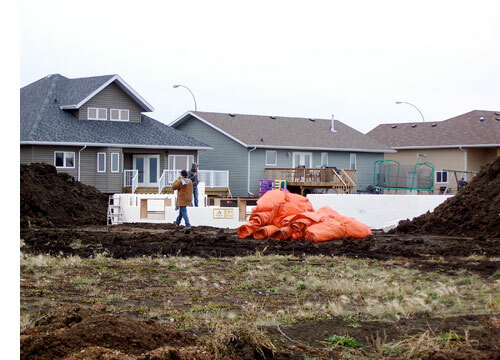 The third new house to be built on the Fairy Glen cul-de-sac has its walls standing as the crew began assembling the walls on Thursday. 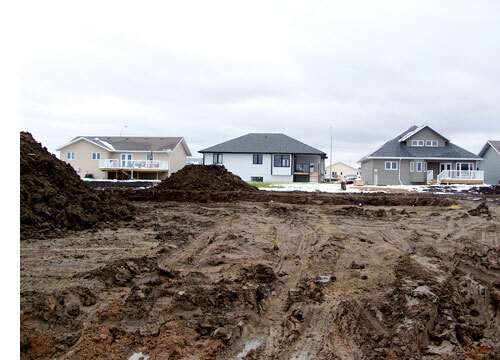 This is a large house and its basement and footings were begun on October 15th (right). Conditions on the site were really muddy and it was difficult to carry out the early work on this project. They elected to go with a foam form concrete basement which you can see being assembled below on October 21st, this was at the end of the work day at 5:23 and you can see uprights in place marking the locations of the basement windows. 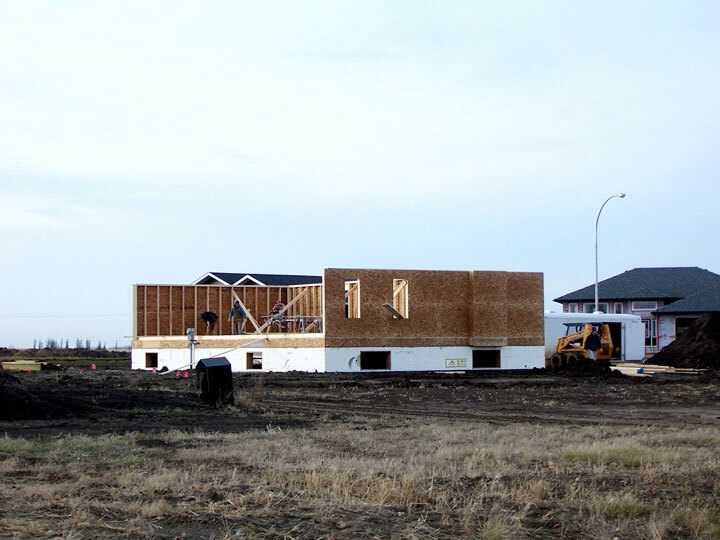 The picture on the right was taken on the following day, October 22 as the forms rise with the new window spaces in place and canvas piled up to cover the cement to be poured in the next few days. Once the cement was poured there was a lull in construction but (below) on November 9th most of the floor joast were in place. 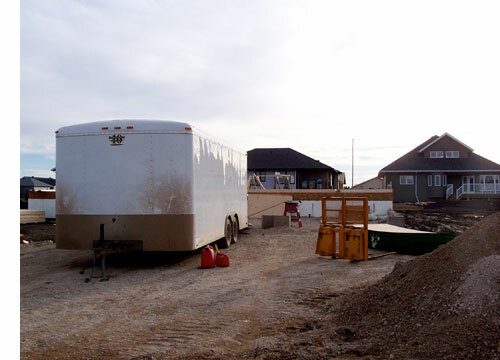 The area in front of the house had to be cleaned up gravel filled in and concrete forms built for the garage. Then the whole basement coated and backfilled. Not an easy task with the wet conditions that prevailed on this lot. 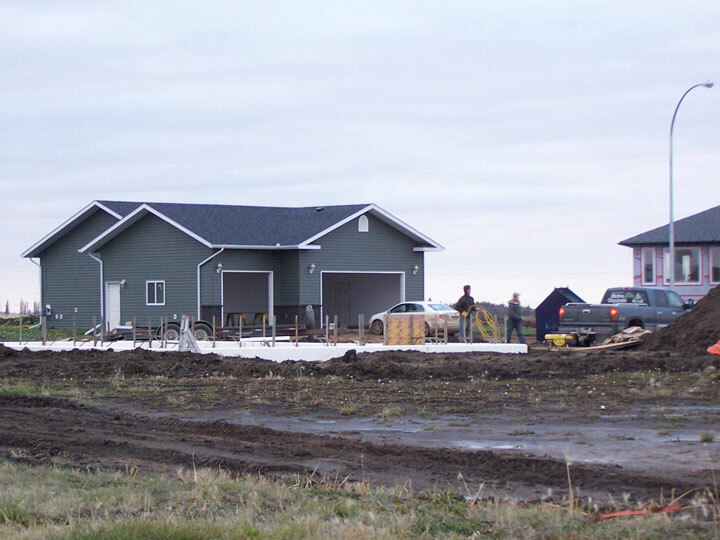 In this picture (right) you can see the fresh gravel replacing the mud in front of the house and the process of sheeting the floor is finished. This was on November 17th. 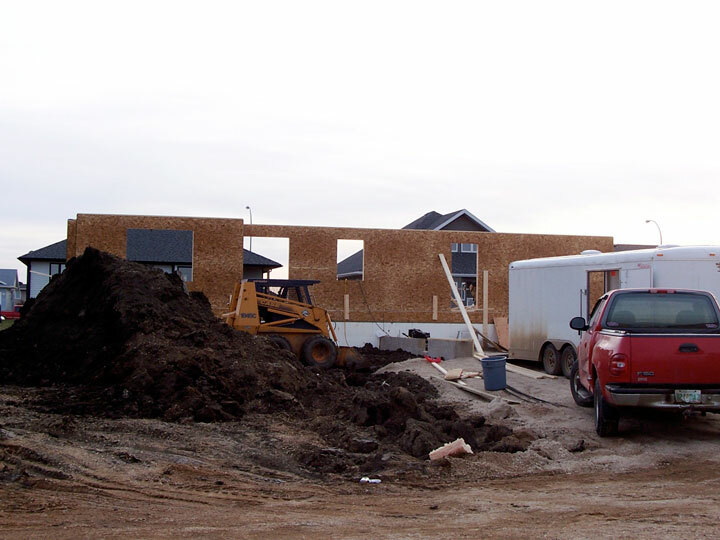 The last picture on the page is looking at the front of the house as the walls were going up on Friday at 3:27. In this picture you can see the area for the garage and some of its foundation. These three new homes sit on what appears to be large lots but the little cul-de-sac is quite tight and there will be little room for street parking when there are house on all of the lots.